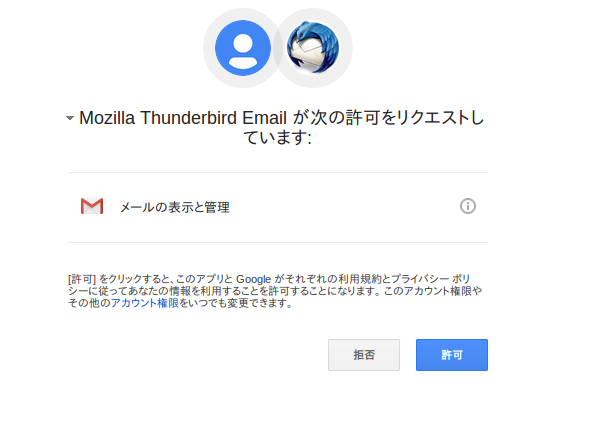 This article will describe how to set gmail in Thunderbird. 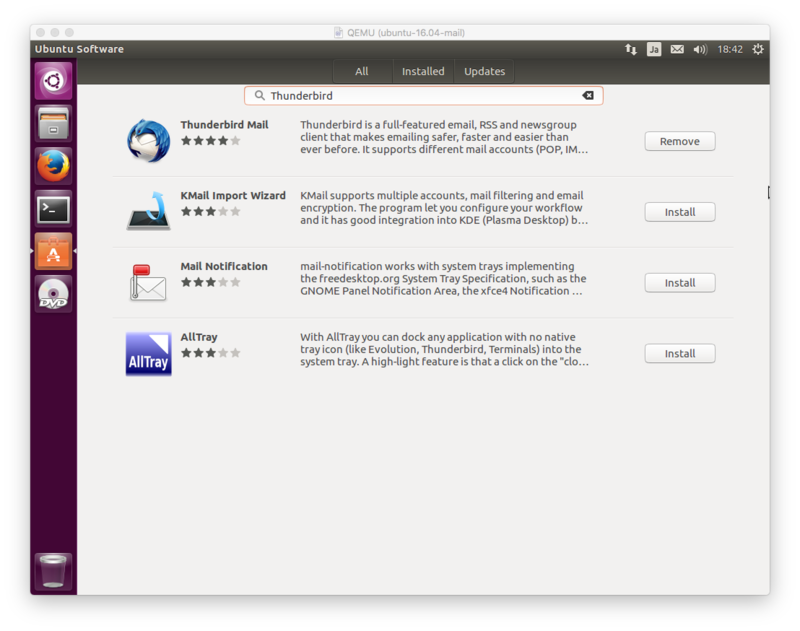 Thunderbird is installed by default. 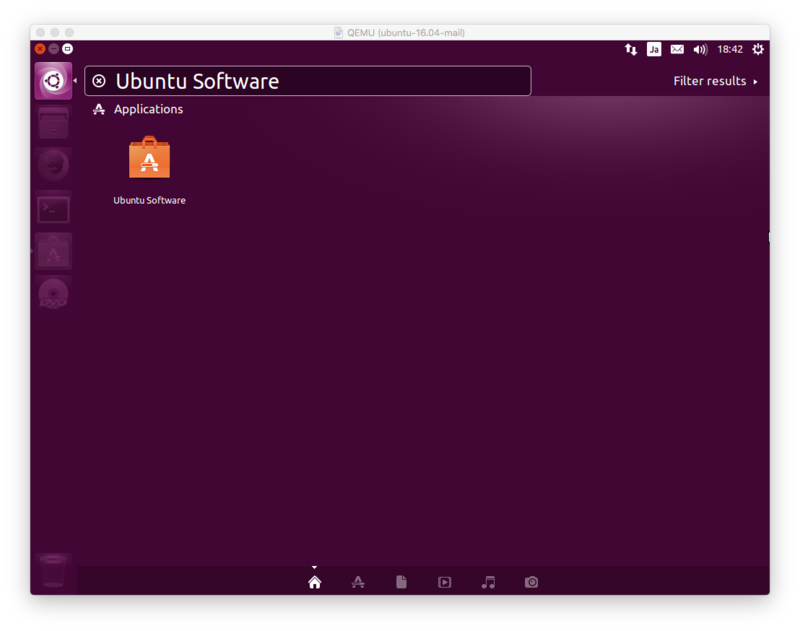 If you uninstalled it, please run Ubuntu Software via Dash. 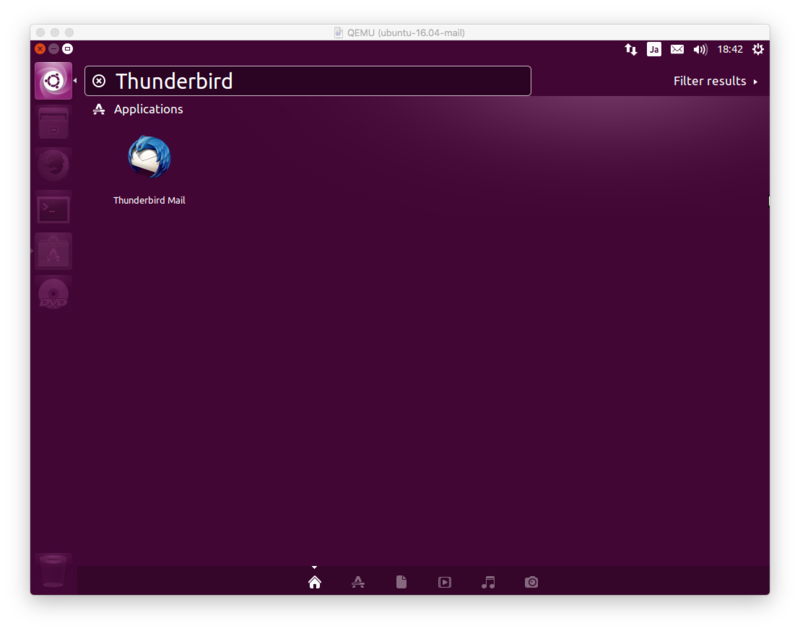 Search thunderbird in Ubuntu Software and install it. When you run thunderbird at the first time, guide for creating new mail account with gandi.net will be displayed. This article does not use it. Press "Skip this and use my existing email". If you have used Thunderbird already, the dialog of adding mail account will be displayed with below menu. 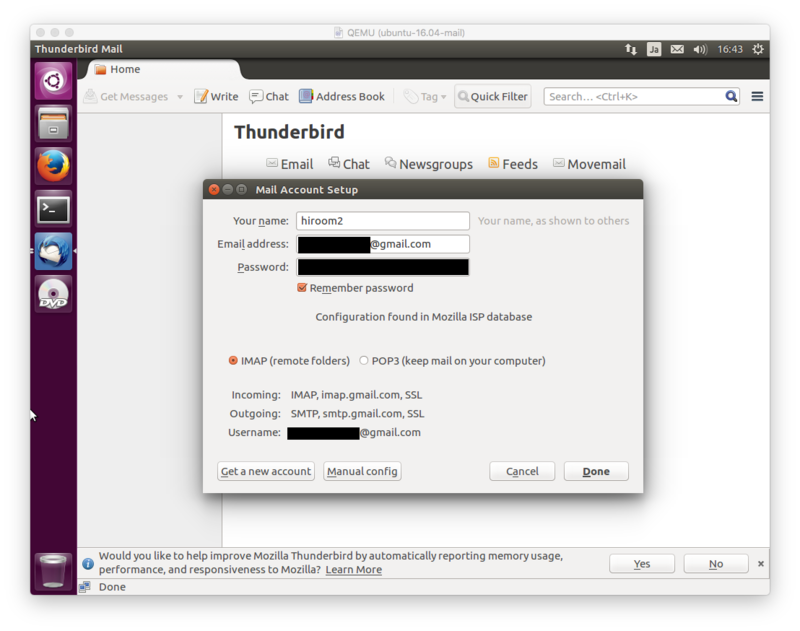 When you run thunderbird at the first time, the dialog will be displayed automatically. Input your name, mail address of Gmail and password of Gmail. IMAP and POP3 server will be set automatically. If you want to leave mail in Gmail storage, select IMAP server. The browser dialog is displayed. 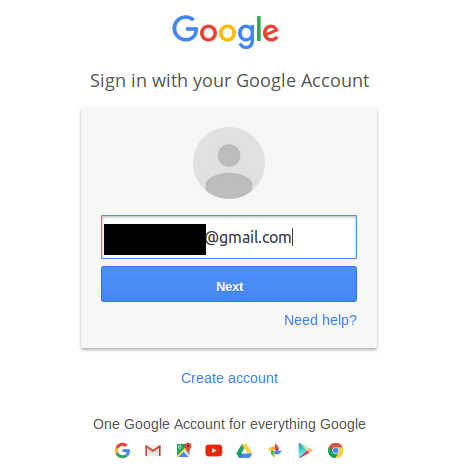 Authenticate Google account. 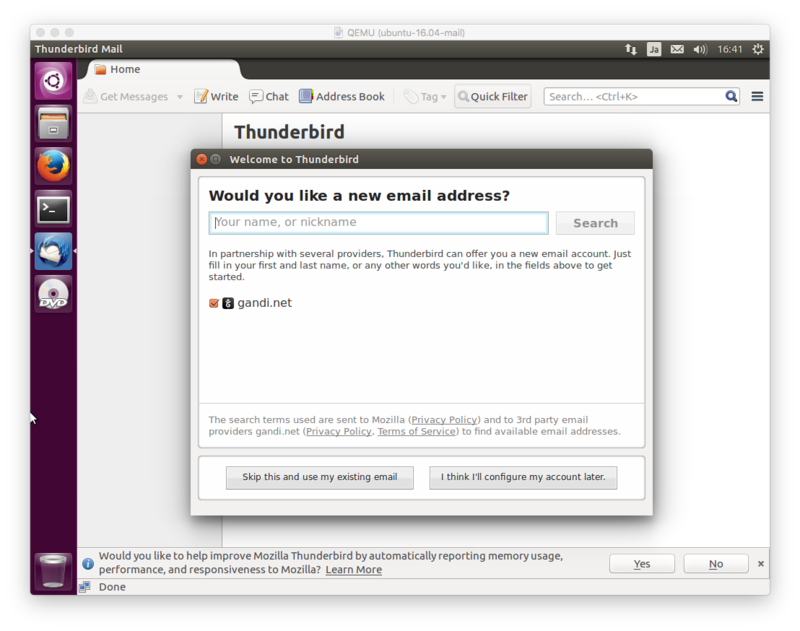 Now you can send and receive Gmail email via Thunderbird.